“Trinity's effort to serve two dioceses was well-intentioned in its time, which was a period of uncertainty,” said Bishop Kenneth L. Price, Jr. of the Episcopal Diocese. “With much of that uncertainly behind us, the Episcopal Diocese stands ready to help the Cathedral grow in its mission as a church open to all and serving all in the name of Jesus Christ in the heart of the city,” said the bishop. On December 15, 2011, the governing body of Trinity Cathedral voted (11-7) to withdraw from the Anglican Diocese of Pittsburgh and affiliate exclusively with the Episcopal Church (TEC). The motion, introduced by Mr. Andrew Thiros, was intended to nullify a special resolution passed overwhelmingly by members of Trinity Cathedral in 2008 to serve both the Episcopal Church diocese and the Anglican diocese. The vote was conducted when three members of the Anglican diocese were absent and without prior notification to members of the governing body. The special resolution under which Trinity Cathedral had been operating required a two-thirds majority of both the Cathedral governing body and a two-thirds majority of all members of the Cathedral to be altered or overturned, neither of which was satisfied by the December 15 motion. Nonetheless, the governing body, under the leadership Bishop Ken Price (TEC), contends that the motion to affirm the charter of Trinity Cathedral effectively invalidates the special resolution. The December 15 motion was an about-face for the governing body of Trinity Cathedral, which had previously affirmed “their intention neither to withdraw from The Episcopal Church nor to withdraw from a realigned Diocese of Pittsburgh, and affirm[ed] that they do not wish to be associated with one exclusive of the other.” It is also a reversal of the position of the Episcopal diocese which had previously been supportive of sharing the space at Trinity Cathedral. Trinity Cathedral had served as a point of unity for the Anglican Diocese of Pittsburgh. It was used for Anglican ordinations and services for high holy days, such as Easter and Christmas. “We are saddened to learn that Trinity Cathedral has decided to end their relationship with us. We have invested in their best interests over many years. They have chosen to embrace exclusivity, rather than inclusivity,” said Archbishop Robert Duncan. The story from Archbishop Duncan’s diocese suggests that the vote was unfair. After all, three Chapter members from his diocese, it is claimed, were not present. Of course, if they had been present and voting, the vote would still have been 11–10 in favor of returning to the status quo ante. I have been told that “Special Resolution” appeared on the meeting agenda for Thursday night, and it would not have taken much of a leap of imagination to recognize that a motion such as the one actually passed could possibly be presented. My reading of the Special Resolution does support the claim that two-thirds of the Chapter and two-thirds of the congregation were needed to retract the provisions of the Special Resolution. In any case, the Cathedral’s charter, which was never changed, requires that all members of the Chapter be members of the Protestant Episcopal Church in the United States of America. Many—perhaps all—the provisions of the Special Resolution were improper from day one. Moreover, since only members of The Episcopal Church could properly vote, it is reasonable to expect that any valid vote on returning exclusively to the Episcopal Diocese of Pittsburgh would have been unanimous. In reality, Trinity had not “served as a point of unity for the Anglican Diocese of Pittsburgh.” Each diocese held events at Trinity, but the events were more or less exclusively attended by parishioners from whatever was the sponsoring diocese. Episcopalians and “Anglicans” came together at Chapter meetings and in regular worship services. The two-church arrangement was more a source of conflict than reconciliation and did not seem to have the potential to become otherwise. It is disingenuous for Duncan to suggest that Trinity Cathedral has embraced “exclusivity, rather than inclusivity.” He has not made any of “his” parishes especially welcoming to Episcopalians! Trinity Cathedral is no more choosing exclusivity than would be a Lutheran church that did not also host Methodist services. The archbishop is simply bitter, as another property he tried to remove from The Episcopal Church has apparently slipped through his fingers. Pittsburgh’s Trinity Cathedral is once again exclusively the cathedral of the Episcopal Diocese of Pittsburgh. In anticipation of the split of the diocese in 2008, the Cathedral Chapter declared in a Special Resolution that the cathedral would be available both to the Episcopal and to what came to be known as the Anglican dioceses. In recent years, members of the Chapter have come from the congregation and from each of the two dioceses, and Trinity Cathedral has been the cathedral of both dioceses. It had become increasingly clear, however, that this unorthodox arrangement was not really working. At last night’s Chapter meeting, the question of returning to a strictly Episcopal church (and to being the cathedral for only the Episcopal diocese) was put to a vote. The question was carried, after which members of the Anglican Diocese of Pittsburgh on the Cathedral Chapter walked out. Yesterday evening the Chapter of Trinity Cathedral voted to re-affirm its Charter of Incorporation. Article II of the Charter states its purpose as “For the support and maintenance of a cathedral church for the public worship of Almighty God according to the faith, doctrine and discipline of the Protestant Episcopal Church in the United States of America” and Article V further clarifies Trinity Cathedral’s historic identity: “This corporation acknowledges religious allegiance to the Protestant Episcopal Church in the United States of America and that portion of the same known as the Diocese of Pittsburgh and will be subject to and governed by the laws, rules, and regulations of the same as set forth in the constitutions and canons of said Church and said Diocese.” Chapter’s decision brings to conclusion the difficult and weighty matters with which they had been wrestling during the past six months. It also effectively ends the governance provisions of the Special Resolution which was adopted by Chapter in August, 2008 and ratified by the parish in September, 2008. This decision was not made lightly or hastily. All the members present were given ample time to express their views before the vote was taken. Many, if not most of the comments made during the lengthy time of discussion had been previously raised in past several months of the Chapter’s work on discerning the best possible future for the Cathedral. This work began in discussions with the bishops of both the Episcopal and Anglican Dioceses of Pittsburgh and included the production of several drafts of a “White Paper” that attempted to explore all feasible options. In the end, the Chapter was not able to achieve consensus about the direction and the timing of the best path forward. In the current Strategic Plan for Trinity Cathedral, the two central priorities are “Grow the Parish Family” and “Strengthen Our Role as Cathedral.” We believe that the clearer sense of our identity as an Episcopal Cathedral will help us to refocus our efforts and gain ground on both priorities. Our mission, “to serve the Lord Jesus Christ in the heart of this metropolitan community” remains unchanged. We will continue to be a “house of prayer for all people” and everyone is welcome in our worship and community. This vote, and the reaffirming of our Charter, does not compel anyone to leave our Cathedral, regardless of their affiliation. We would welcome opportunities to host the Pittsburgh diocese and larger body of the Anglican Church in North America should they choose to use our facilities for future events. Our parish family should have an opportunity to discuss Chapter’s decision and its impact on our corporate future. With the Christmas season nearly upon us and many of you planning for travel and other obligations, there will be a Special Parish Meeting on Sunday, January 7, 2012 at 9:15 a.m. in the Blue Room. Until then, I ask that you would continue to keep Trinity Cathedral and its leadership in your prayers. 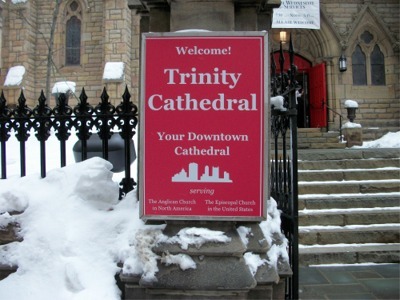 Update, 12/17/2011, 6:50 PM: A story about the vote of the Trinity Cathedral Chapter is now on the Web site of the Episcopal Diocese of Pittsburgh. The statement from Canon Brall is now also on the Trinity Cathedral Web site. I have seen no comment from either the Anglican Diocese of Pittsburgh or the Anglican Church in North America. As yet, Episcopal News Service has not reported on Thursday’s decision by the Chapter. Although all American fighters will not be out of the country until the end of the month, a ceremony was held in Iraq today formally ending the Iraq War. Perhaps now is a good time to be clear about what will be written in our history books and what we will tell our children and grandchildren. I cannot answer those questions. Can you? Having both participated in and observed the power struggles that have taken place in The Episcopal Church in recent years, I have often wished that the constitution and canons of the church were different than they are. I have long wanted to offer a comprehensive list of desirable changes to our church’s canon law, along with scholarly discussion justifying the need for change and the benefits to be gained thereby. Somehow, my project has never really gotten off the ground, and I have even forgotten some of my brilliant proposals for canonical renewal. A General Convention is fast approaching, however, and a provocative hatchet job now may be more interesting—perhaps even useful—than a scholarly essay at some indeterminate future time. I therefore will offer some suggested changes, along with at least a brief case for each one. I invite readers to offer their thoughts on my suggestions or to propose their own changes to the Episcopal Church constitution and canons. I was speechless when, in September 2003, then Bishop of Pittsburgh Robert Duncan argued that, in approving the consecration of Gene Robinson to be Bishop of New Hampshire, the General Convention had violated its own constitution. I did not then—and I do not now—understand the logic of this charge, but it has often been repeated by conservative church militants. I think that two lines of argument have been put forth—that the church violated “historic Faith and Order” and that it somehow violated an obligation to the Anglican Communion. Neither argument makes any sense, but that is beside the point. The Protestant Episcopal Church in the United States of America, otherwise known as The Episcopal Church (which name is hereby recognized as also designating the Church), is a constituent member of the Anglican Communion, a Fellowship within the One, Holy, Catholic, and Apostolic Church, of those duly constituted Dioceses, Provinces, and regional Churches in communion with the See of Canterbury, upholding and propagating the historic Faith and Order as set forth in the Book of Common Prayer. This Constitution, adopted in General Convention in Philadelphia in October, 1789, as amended in subsequent General Conventions, sets forth the basic Articles for the government of this Church, and of its overseas missionary jurisdictions. It is not apparent to the casual reader that the actual purpose of the Preamble is to establish “The Episcopal Church” as the legal equivalent to “Protestant Episcopal Church in the United States of America.” Various unsuccessful attempts had been made over the years to shorten the church’s name. When, in the 1960s, such a change had become widely acceptable, concern were expressed that a name change might have unanticipated legal ramifications. It was therefore decided to create an alternate legal name. The wording of the Preamble was proposed by Dr. Clifford P. Morehouse, who was president of the House of Deputies. The text involving the nature of the church and its relation to the Anglican Communion was, as we would say in Louisiana, lagniappe. The Preamble was adopted by the General Convention without amendment. There are two reasons for removing unnecessary provisions from the Preamble. First, they have been used as a cudgel against the church, unfairly, to be sure, but convincingly to some. Second, should we find ourselves not in the Anglican Communion at some future time—we could remove ourselves, we could be ejected, or the Communion could self-destruct, three plausible developments—references to the Anglican Communion that could not be removed for six years would, at best, be embarrassing. Conservatives have argued that separation from the Communion would present a “constitutional crisis.” This is silliness, but we have been harmed by silliness before. We would do well to remove the threat, if not to our legitimacy, at least to our tranquility. This Constitution for the Protestant Episcopal Church in the United States of America (otherwise known as the Episcopal Church, which name is hereby recognized as also designating the Church), adopted in General Convention in Philadelphia in October, 1789, as amended in subsequent General Conventions, sets forth the basic Articles for the government of this Church, and of its overseas missionary jurisdictions. I propose that this become the revised Preamble, though perhaps we should retain “The Episcopal Church,” rather than “the Episcopal Church,” as I suggested last year. It is unconscionable that dioceses like my own, at least in the years before the departure of Bob Duncan and his merry band, demanded a diocesan assessment be paid by parishes to the diocese while refusing to contribute any funds to the maintenance of the general church. This is both poor stewardship and blatant hypocrisy. It makes it easier for dioceses to keep the rest of The Episcopal Church at arm’s length. General Convention should determine a fair contribution from each diocese and demand payment. Hardship exceptions are needed, but there should be consequences for non-payment. The assessment on dioceses should be a single figure, so that dioceses have no incentive to pay part while objecting to paying another part. Once a bishop is elected by a diocese, a majority of standing committees and a majority of bishops with jurisdiction must consent to the consecration of the bishop-elect. The collection of consents is usually a formality that proceeds quickly, concluding long before the expiration of the 120 days allowed by Canon III.11.4. This is not always the case, however. Votes by standing committees and (particularly) bishops are only made public if the voters themselves make them so. Knowing the status of the voting is helpful in the case of controversial bishops-elect. It could alert the electorate to concerns of which many may be unaware, for instance. At the very least, final vote tallies should be released, which is both a check against fraud and an acknowledgement of American democratic values. Appropriately, it is difficult to remove a bishop from office. There are times, however, when the relationship between a bishop and the bishop’s diocese has become dysfunctional and, apparently, beyond redemption. Such a situation can exist even in the absence of offenses by the bishop that could lead to the institution of disciplinary procedures under Title IV. (The relationship of the Diocese of Pennsylvania and Bishop Charles Bennison comes immediately to mind.) There should be a way for the diocese to remove its bishop. Perhaps bishops should even be elected for a fixed term, as they are in some other churches. I don’t have a plan here, but one is needed. After consent of the General Convention, when a certified copy of the duly adopted Constitution of the new Diocese, including an unqualified accession to the Constitution and Canons of this Church, shall have been filed with the Secretary of the General Convention and approved by the Executive Council of this Church, such new Diocese shall thereupon be in union with the General Convention. The clear intent here, I would argue, is that every diocese is to be forever bound by the provisions of the General Convention’s constitution and canons. Nevertheless, a number of dioceses have removed accession clauses from their constitutions, sometimes with the transparent intention of leaving the church altogether. I believe this was first done by the Diocese of Dallas and done most recently by the Diocese of South Carolina. It was done in my own diocese of Pittsburgh prior to the 2008 schism. Dioceses that have removed or qualified accession clauses in their constitution have, as far as I have been able to determine, justified their moves by one of two arguments. South Carolina has argued that, as one of the original dioceses, the Article V restriction does not apply. Originally, however, all dioceses were required to accede to the constitution. (The required accession to the canons was added to the constitution much later.) The other argument, one used in Pittsburgh, is that, although a new diocese must have an accession clause in its constitution, Article V does not require that the clause remain in the constitution. The clause could be removed immediately after the diocese was admitted to the General Convention. This argument is silly and presumes that the General Convention is stupid, but there is a loopy logic to it. It is time for the nonsense that dioceses are somehow sovereign and not necessarily bound to the constitution and canons of the General Convention to be put to rest. We need a constitutional amendment that declares that (1) every diocese must maintain a constitutional provision of accession to the General Convention’s constitution and canons, and (2) even in the absence of such a provision, the diocese is nonetheless so bound. Changes to accession clauses by dioceses have had few consequences. In the case of Pittsburgh, for example, Episcopalians in the diocese were able to get Executive Council to declare that the qualification of accession in the constitution was null and void. Well, we see how effective that determination was! I argued in November 2006 that weakening a diocese’s accession clause is intrinsically unlawful and that support for it by a bishop is a punishable offense. (See “Unqualified Accession.”) Our church leaders, on the other hand, have had the view that crippling the accession clause is not an offense, but using the change to justify some otherwise improper action is. Thus, we wait until a diocese tries to leave the church before we take action! This is a bankrupt, even suicidal, policy. Alas, Episcopalians have learned in recent years that dioceses sometimes run off the rails. They have also learned that there is little they can do about it when it happens. (See my recent post “Whither South Carolina?”) A few years ago, I consulted with members of another diocese that subsequently claimed to have left the church about a particular priest who seemed clearly guilty of canonical violations but who was presumably doing the bidding of his conservative bishop. Bringing charges against such a miscreant was pointless, as the diocese would never have found him guilty. As I understand the revised Title IV, this problem remains. Even if a bishop were removed for his or her part in gutting the diocese’s accession clause, there is presently no way to discipline clergy who voted for the change. We need a way to impose discipline on clergy from outside a diocese in extreme situations. Consider the Diocese of South Carolina. Its bishop has been complicit in removing the accession to church canons and could conceivably be removed for that (see above). Even if Mark Lawrence were removed from the diocese, as I explained in “Whither South Carolina,” the church would still have a rogue diocese on its hands, one hostile to the general church and convinced of its own independence. Even if the more extreme clergy were deposed, South Carolina contains many laypeople holding similar views. What can The Episcopal Church do about such a situation now? Virtually nothing. Despite charges that Presiding Bishop Katharine Jefferts Schori is a tyrant intent on subduing the sovereign Diocese of South Carolina, she is, in actual fact, lacking usable tools to restore South Carolina to sanity. The Episcopal Church needs a constitutional procedure for dealing with a diocese—South Carolina is but the latest example—that has gone rogue and divorced itself, virtually, if not literally, from the wider church. There should be a mechanism for the church to replace diocesan leadership with leaders friendly to the general church until such time as the diocese can be made a sane participant in church life. No doubt, this will be seen as my most radical proposal, and I will be denounced as an enemy of democracy and a friend of tyranny. So be it. I love my church and am sick of seeing it undermined from within while Episcopalians stand by wringing their hands. Having a democratically governed church need not mean having a church at the mercy of small, but determined minorities. Careful readers will observe that the foregoing suggestions mostly have to do with maintaining the integrity of The Episcopal Church internally. To complete the job of protecting our church from all enemies foreign and domestic, we should reject the Anglican Covenant (see “A Revised Proposal for General Convention 2012”) and amend the constitution to protect ourselves both from agreements that would limit our autonomy and from dioceses that would attempt to enter into such agreements. (Some conservative dioceses have wanted to adopt the Anglican Covenant as a diocese.) I have not really thought of an appropriate wording for such an amendment, but I would like to see the Anglican Covenant be not only unwise but also unlawful for The Episcopal Church and for any of its dioceses to adopt. This ends my quick-and-dirty list of tasks for General Convention. I’m sorry that my list is not clearer or more compelling; this is the best I can do in a hurry. Readers, what do you think? Which ideas a good and which do you think demented? Do you have other ideas? Let’s have a discussion. A whole or half ham from the leg primal cut that has only the leg bone remaining. The hip or shank bone has been removed, making it easier to carve. So a semi-boneless ham is boned, in the sense of having a bone and, at the same time, boned, in the sense of having at least one bone removed. A semi-boneless ham is not a boneless ham at all! In the case of ham, the use of semi- has come to have a very specific, if curious meaning. Just think of the opportunities for using semi- to qualify otherwise definitive-sounding terms: semi-fat-free, semi-smoke-free, semi-salt-free, semi-gluten-free, semi-guileless, semi-fearless, semi-pointless, semi-moonless, and so forth. The possibilities are endless (or, perhaps, only semi-endless). Because of some technical problems with one of my computers, it is very difficult at the moment to post anything to my Web site. Normally, I would add a page to the Poetry section of Lionel Deimel’s Web Log when I finish a poem. Since I cannot do that just now, I will offer my latest poem here. There isn’t much I want to say about “Reciprocity” other than that it would be a mistake to read anything autobiographical into it. The repeated first stanza—inspired by I don’t know what—was written first, and the rest of the poem flowed from those four lines. But I’m not part of you? And ask about your day. Beguile me through the night. And love to ride your bike. Because I’d find it fun? I attended a wonderful Service of Nine Lessons & Carols for Advent at Pittsburgh’s Calvary Episcopal Church this afternoon. Music was provided by the Calvary choirs and Chatham Baroque. The service included a number of congregation hymns—it is always wonderful to sing hymns in a reverberant space with a large congregation—all on Advent themes. The son of Zechariah to Jordan’s shores once came. With camel’s hair his raiment, and locusts as his food. To bring you to his bosom, the Lord, Emmanuel. Asked John if he were Jesus, the long-awaited Lord. He old men will astonish, the youth he will amaze. Declared that in Christ’s Kingdom there is for sinners room. Descended on him boldly, sign of the Father’s love. We sing to God the Father, the Son and Holy Ghost. Copyright © 2009 by Harold T. Lewis. Reproduced by permission. As regular readers know, I seldom offer guest postings. The essay below is one of my exceptions. It was written by my friend Mary Roehrich, a board member of Progressive Episcopalians of Pittsburgh and member of the Standing Committee of the Episcopal Diocese of Pittsburgh. After I wrote my last post, “Whither South Carolina?,” I contacted Mary because she has complained more than once about how The Episcopal Church has dealt with the situation in the Episcopal Diocese of South Carolina, and I thought she would find my post interesting. When I spoke to her, she shared the essay below, which she was about to send to various individuals and private lists. 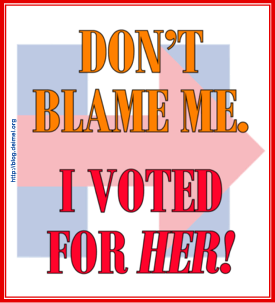 I asked for and received Mary’s permission to reproduce her message here. Mary is, of course, responsible for everything in the essay below, which was written independently of my contribution. I have only edited her text for format. I am about to commit liberal blasphemy. Please hear my plea. The faithful Episcopalians in the Diocese of SC are in a new place, not a very comfortable place, but different than where they were before. You desire to remain in your diocese and in TEC. As a veteran of the separatist wars in Pittsburgh I have a suggestion. You probably need a new approach. +Mark Lawrence has said he is and will remain a bishop of TEC. Take him at his word and challenge him to use your good offices to achieve his goal. He is probably annoyed with those of you who signed the deposition, and you are angry with what he has done. Try to put the anger aside and deflect his anger and find a way to demonstrate Christian forbearance and love in a material way that breaks through his isolation and your alienation. Get part of him on your side by showing him that your side has something to offer HIM and the diocese. This approach was not tried successfully in Pittsburgh and I have always thought it was a major mistake. Robert Duncan is a different kettle of fish from +Mark Lawrence and I think you may have a better shot. In the end it is not what he has done that you have to answer for, but what you have done. You will have to put up with the consequences of everyone’s actions surrounding this issue but if you have gone the extra mile in spite of provocation you will be in a better spot. The church center was of no use to us during the early stages of conflict with Bob Duncan and did not try to reach out effectively to him or to us in spite of repeated pleas from PEP [Progressive Episcopalians of Pittsburgh] to pay attention (as early as 2003). They actually came late to the party, after the first vote for schism, and were best at informing us of what they wanted, not asking what they could do for us. I have the impression they are doing the same thing in SC and suspect it will be equally as effective. So to all intents and purposes the ball is in your court. Call on +Mark Lawrence to be the best Episcopal Bishop he can be, and be to him the best, not necessarily the most compliant, Episcopalians you can be. I am not directly involved in your diocese, and there is a great deal about your history and present situation I don’t know, and you probably don’t like being preached at from someone from the outside like me. BUT SOMETHING HAS TO CHANGE in order for your diocese to change its current disastrous course. Try getting the bishop to consider you as more than collateral damage. I know such a course will be exceedingly difficult, take a long time, make you vulnerable in ways you have avoided and it may not be what you want to hear. BUT desperate times call for desperate measures. Mix it up, catch ’em off guard.